We love client feedback. Honestly, we truly value all feedback we get, especially when our clients recognize opportunities where we can improve our service. 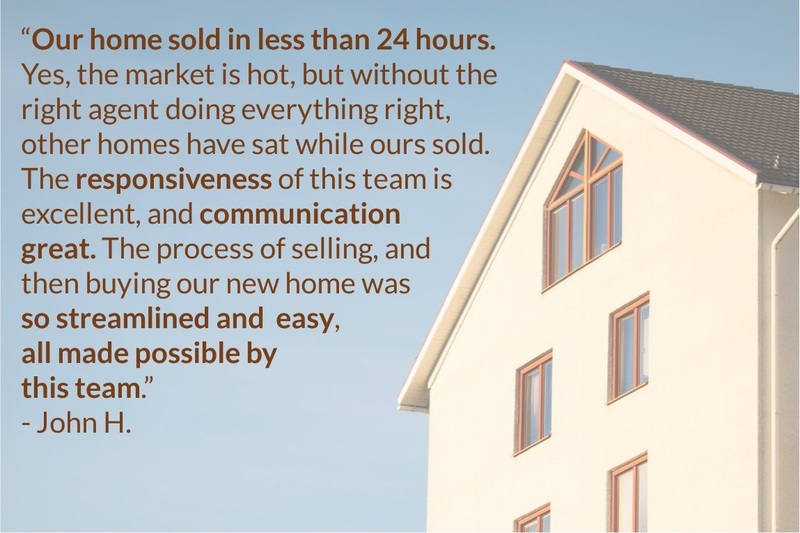 Hearing from happy sellers and buyers, who trusted us with one of their biggest financial decisions, and we’re pleased with the results, is just amazing. Seeing a few of our core values pop up in this recent review is especially fulfilling. Communication and Excellence are extremely important to us, and we’re thrilled to hear that John was able to recognize those values in our team. Thanks so much to John and his family for trusting us to assist in their home sale!